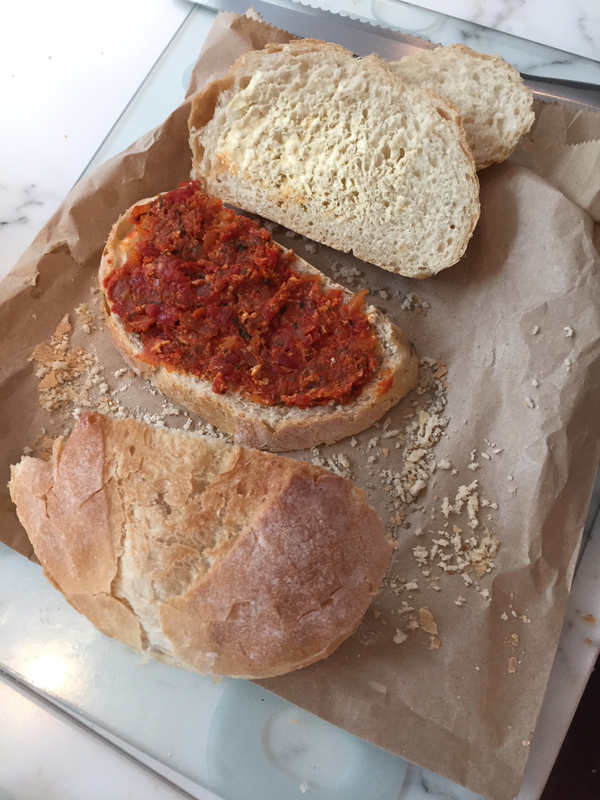 Tomato Paste — spread it onto bread and call it dinner! This recipe actually comes from one of the most remote parts of the world! My lovely friend Nadine is from St Helena, an island in the middle of the Atlantic that hardly anyone has ever heard about. We stayed with her over the holidays (not in St Helena as it takes days to get there, but in London ;)) and we ended up chatting about our failsafe, storage cupboard recipes. Nadine’s fall back recipe is a sandwich spread called Tomato Paste from back home. She made it – and we devoured it! It is so simple and so good. All you need is some chopped garlic, onion and parsley that you soften in a pan. 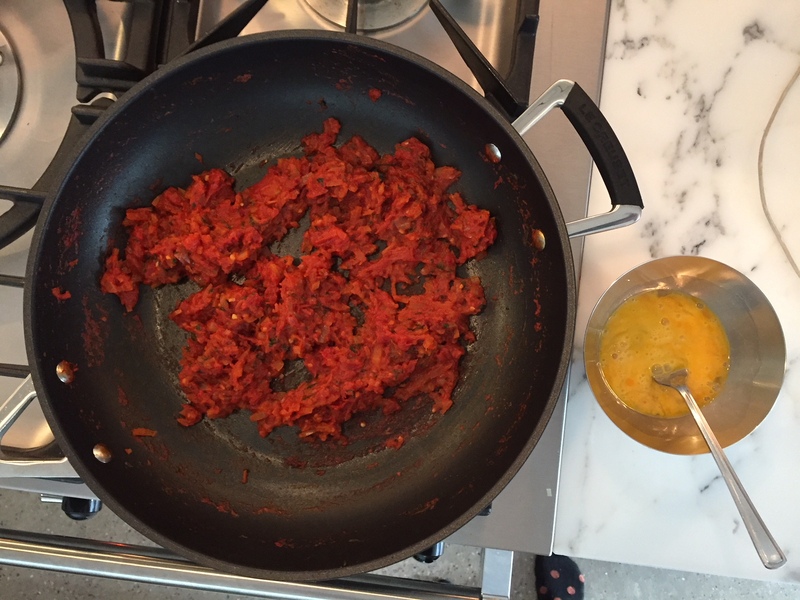 You then add in a can of tinned tomatoes and a pinch of salt and let it cook down until all the fluid has cooked off. Finally you mix in a beaten egg and let it cool off. Spread it onto a slice of bread and you are good to go. It keeps in the fridge for a couple of days. If I made this for dinner, my husband would sack me! The recipe looks great to add to pasta, pizza or as a sauce for curries and other dishes, but served on bread for dinner would not seem right! I see what you mean. Here in France our main meal is often at lunch, so for dinner we have something lighter like salad and soup. Funny how each country is different! What a delicious recipe! It sounds almost like the tomato crostini that my Italian mother-in-law makes. We like to top them with olives and capers or some yummy mozzarella cheese. Emilie – do you use a 12oz can of tomatoes? Diced? Puréed? Thanks!